Thankfully my family loves fruit. We are always looking for new ways to prep and eat it. These snacks are a healthy, simple, and fun way to treat yourself or kids. Add your favorite toppings for your own twist. They make a great after school snack! Slice apples into 1/4" thick slices. Core out the middle to remove seeds. Spread peanut butter over slices and add toppings. Hi Nichi, I love peanut butter with apples. This is a healthy and fun after school treat. Thanks for sharing Apple Slice Snacks with Foodie Friends Friday party this weekend. I've pinned and will share this weekend. This is perfect for after school :) Thank you for sharing this, I can't wait to do this for my kids. 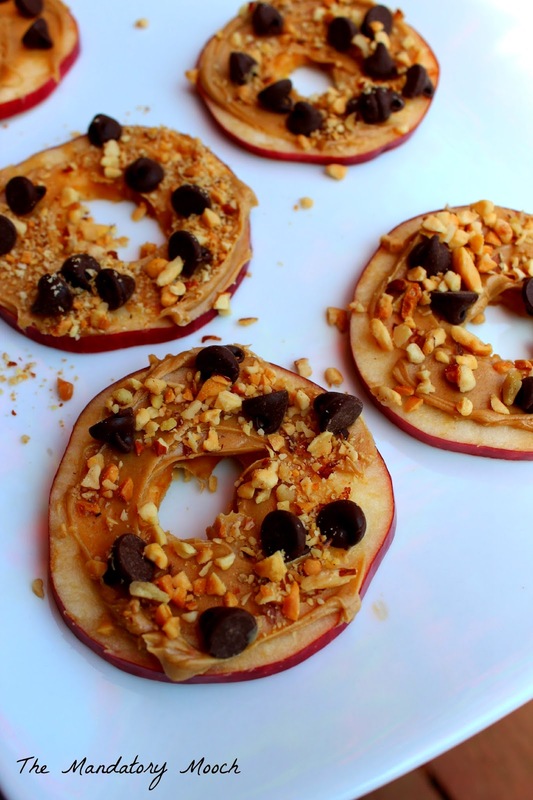 Hey, those look so yummy and great for after school snacks! Great tutorial!! If you get a chance stop by my blog http://www.liverandomlysimple.com (not this blogger one, I havent used it in years but it wont let me sign into my wordpress account for some reason and I dont have to option to post anonymous like on other plugins like this one.) Have a great friday!! These are perfect for my two year old! Pinning this...so hopefully I remember to make some the next time we have some apples! You sure do make an apple look good all dolled up with PB!! Thanks for sharing on Friday Features this week, stop by for Wordless Wednesday as well. Simple snack. Thank you for joining the Small victories Sunday Linkup party. Please join again. Pinned to the group board. There's nothing like an easy healthy snack. Apples are the best. Thanks for sharing at the Inspiration Spotlight Party. Pinned & shared.Hope to see you again soon!